In the first few moments of The Girl Who Leapt Through Time, protagonist Makoto Konno introduces herself by openly admitting her mediocrity. Her inner monologue poses as a normal confession, devoid of self-pity or desire for something bigger, that a lot of teenagers experience in their academic and personal spaces through their high school navigations. But as surely predicted, Makoto is Not Like The Other Kids when she stumbles upon a small object that allows her to travel back in time for a re-do on grades and life situations. 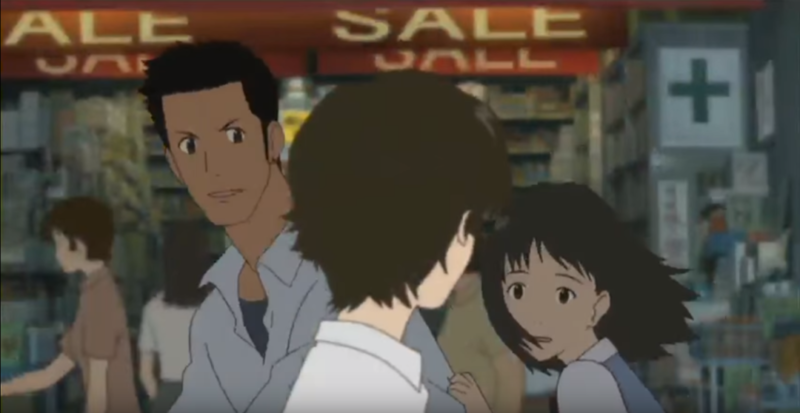 Proven by the title, director Mamoru Hosoda doesn’t get complicated with The Girl Who Leapt Through Time, and it’s not uncommon that some of his fantastical elements in his stories feel as though they’ve been plucked from the spines of old fairy tales. One of his most famous devices is placing his young central figures in adversity and letting them be the heroes of their lives. His successful films push their heroes swiftly out of their comfort zones to overcome hard decisions on different existential planes, making peace in intense internet wars, and taking care of loved ones against all odds. For me, I almost would have categorized the first time I saw this kind of maturing arc in the first Chronicles of Narnia film, where the Pevensie children were commanding soldiers in a war against the White Witch (Battle of the Bastards who?? ), but it would have been injustice to one of the nostalgic classics that is nearly at the edge of my toddler-conscious memory, Digimon: The Movie (done by none other than Hosoda!). Makoto’s ordinariness plays up an interesting spark in relation to time, which we know to be infinite and uncaring to things of little matter. As she exclaims that luck “tends to be on [her] side,” we question whether the quality or effort towards something can be disregarded — just so long as it happens. It may run as shallow as joking about whether her physical leaping has a minimum height/distance to qualify as an initiation for time traveling, but we could also wonder whether her “averageness” is really that humdrum when it’s the nobility of her character in an unsought scenario that leaves an imprint in the sands of time.